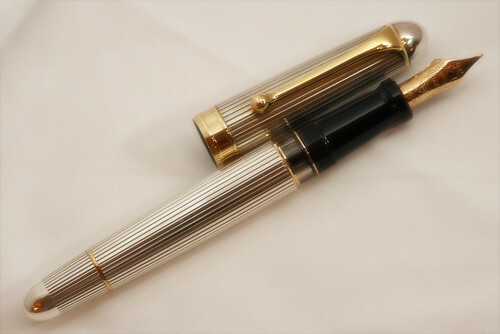 Ever since I was bitten by the fountain pen bug a few months ago, I have been yearning to find a way to photograph the pens in a satisfactory manner. Fortunately Kelvin Tan, photographer extraordinaire , conducted a workshop in pen photography at Pengallery‘s showroom during a private review session. I was amongst the lucky few who attended the class, and I learnt so much from him that I was determined to put the new found knowledge into practice. So when the Gimp, a marvellous piece of free software for image editing. The tools work very well, as can be expected from most modern photographic equipment. 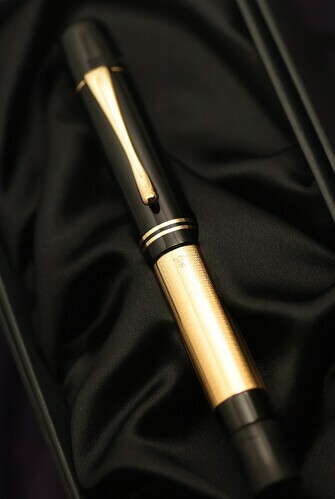 Together with Kelvin’s tips I was able to produce some satisfactory photos of a few of the fountain pens in my collection. Once the pain in my wallet has subsided I will probably be adding a second slave flash unit for dual light source. Below are a few selected shots taken with the above equipment. The complete set can be accessed at my Flickr site.